Designed by Guy Hill, our Zoom Out modular sectional features nine modular units to mix and match to create the ideal seating configuration. 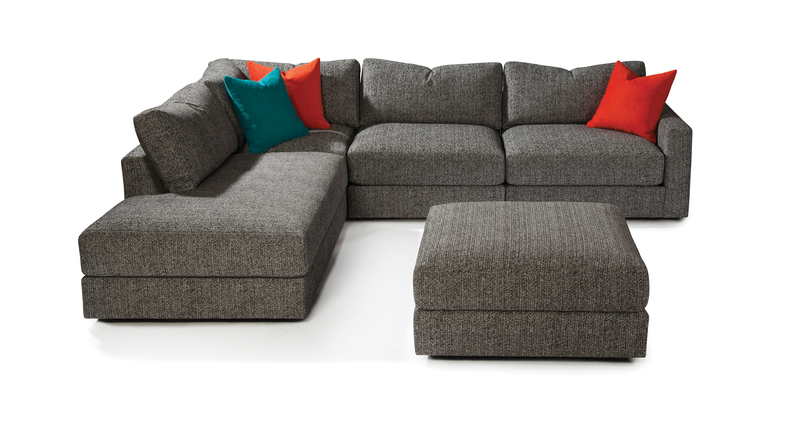 Our Zoom Out modular units feature crisp tailoring and premium seating comfort (poly blend down seats). New black non-skid legs aid in keeping this group focused in place without connectors. Choose from any of our in-house curated fabrics or leathers or provide COM. Height to top of back cushion is 33 inches approximately.